At Herbeumont Slate Quarries, we supply slate facing in 100% natural schist slate: when we extract the slate from schist, we keep the raw surface without working it, which means it does not alter over time and retains its original colour. Construction in natural slate gains value over the years, as it grows more attractive as time goes by without any maintenance. 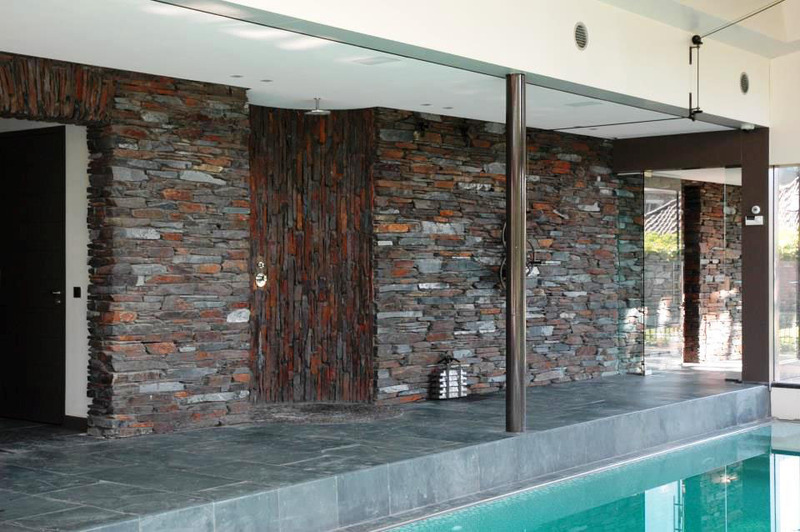 Apart from its attractive appearance, facings in natural slate are compatible with almost all types of surface materials used today in construction. This can be done without any problem. Impact-resistant and therefore sustainable, changes in weather conditions will have no negative effects on the slate which will only become more attractive over the years to bring life to any where it is applied.